Car insurance is an important consideration before getting behind the wheel, providing car owners with cover in the event of an accident, be it cover for damage caused to other vehicles and property or damage caused to their own vehicle. 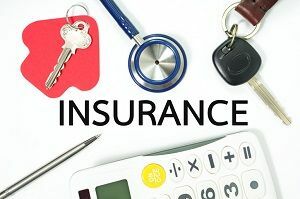 Consumers looking to take out a policy have a number of options, and the level of coverage required will, of course, vary from one vehicle to the next, dependent upon various factors. As such, insurance providers offer a range of policies, from third party, third party fire and theft to comprehensive insurance. As advised by the Ministry of Transport, New Zealand does not have compulsory third party insurance, with this cover being optional for vehicle owners, while the cost of injuries is covered by the Accident Compensation Corporation. 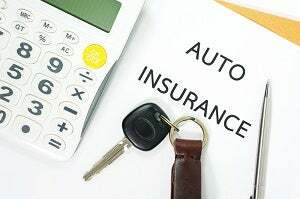 A previous survey conducted by the ministry had regardless revealed what it stated was a comparable level of vehicle insurance with countries that have compulsory insurance. The ministry’s survey of 4,000 New Zealanders found that 92.4 per cent had some form of motor vehicle insurance, while 7.6 per cent of vehicle owners had an uninsured vehicle or did not know whether their vehicle was insured. So, what types of car insurance are available, what sort of cover do they provide, and what policies are on offer from insurance companies? What types of car insurance are available? As advised by the Insurance Council of New Zealand (ICNZ), drivers can insure their car against accidental loss or for damage to up to its market value or an agreed value with an insurer, with it important to keep in mind that an insurance contract obliges the policy-holder to take reasonable care to avoid accidents and theft. The market value is the value of the vehicle just before damage occurs, and agreed value is an agreed vehicle value, agreed between the policy-holder and the insurer upon the policy-holder commencing or renewing an insurance contract. Third party property damage – providing cover against damage caused to someone else’s vehicle and/or property, or if they are injured. Third party, fire and theft – providing cover for damage caused by fire and theft to the policy-holder’s vehicle, as well as third party property damage. Comprehensive – providing cover against accidental loss of, or damage to, the policy-holder’s vehicle, as well as third party property damage, and potentially for other costs, such as salvaging a car from the accident scene and towing it to a repairer. The ICNZ additionally notes that it is important that all details that may impact acceptance of the insurance are disclosed when taking out a policy, regardless of whether or not a specific question has been asked. What policies are insurance providers offering? The following are some of the policies on offer from insurance providers, encompassing third party, third party fire and theft, and comprehensive coverage. Vero Insurance provides three levels of motor insurance cover: third party only, third party with fire and theft, and comprehensive. Legal liability cover for reparation and damage if you accidentally cause injury to another person or damage to their vehicle or property (third party, third party with fire and theft). Cover up to $3,000 for your car if it’s damaged by an uninsured driver and you’re not at fault and can provide the details of the other driver (third party, third party with fire and theft). Market value if your vehicle is stolen or damaged by fire (third party with fire and theft). Cleaning and valet costs following a break-in (comprehensive). Replacement keys and locks if they’ve been damaged, including proximity keys up to $1,000 (comprehensive). No excess when repairing damaged windscreen, sun-roof, windows, head or tail lights sustained without other damage to your vehicle, also not affecting a no-claims discount (comprehensive). Cover towards transport home or emergency accommodation following an accident if your vehicle can’t be driven (comprehensive). 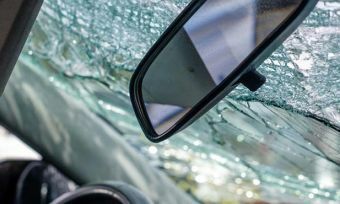 Legal liability cover for reparation and damages if you accidentally cause injury to another person or damage their vehicle or property as a result of an accident involving your vehicle (comprehensive). Repair guarantee – guaranteeing the work of Vero’s nationwide repairers for as long as you own the vehicle (comprehensive). If your vehicle is written off you may be eligible to have the unused premium credited to the policy of your replacement vehicle (comprehensive). Vero may replace your vehicle with a brand-new vehicle if your car is under 12 months old, has travelled less than 15,000 km and it is stolen or significantly damaged (comprehensive). Cover for trailers, own, hired or borrowed (not including campervan, caravan, horse or boat trailers) (comprehensive). AMI Insurance provides third party, third party fire and theft, and comprehensive levels of cover. With every driver being different, AMI states that its “car policies come with different features”, with AMI’s comprehensive policy providing a number of extra options. Accidental loss or damage to your car – AMI will cover repairs to your car if it’s damaged in an accident (comprehensive). Fire or theft – if your car is stolen or damaged by fire, AMI will cover repairs or pay up to the market value (third party fire and theft, comprehensive). Damage to someone else’s vehicle or property – if you have an accident and it’s your fault, AMI will pay up to $20 million for damage to someone else’s car or property (third party, third party fire and theft, comprehensive). Towing – if you’re away from your home centre and can’t drive your car because of accident damage, AMI will tow your car to the nearest repairer or secure place (third party fire and theft, comprehensive). Transport home – AMI will reimburse you for reasonable costs to get you and your passengers home if your car is stolen or damaged in an accident (comprehensive). Approved repair work guarantee – AMI will guarantee all repair work carried out by its approved suppliers (third party fire and theft, comprehensive). Breakdown service: 24/7 roadside assistance for anyone who’s driving your car (comprehensive). Excess-free glass cover – if AMI agrees to pay your glass claim, you won’t have to pay any excess, plus it won’t affect your no-claims discount (third party fire and theft, comprehensive). Substitute transport – AMI will reimburse you for substitute transport costs if your car has been stolen or is under repair (comprehensive). Having determined the level of coverage required – be it third party, third party fire and theft or comprehensive – it is worthwhile shopping around, researching insurance providers’ various offerings and how premiums are calculated, and getting a number of quotes before taking out a policy. Some providers will provide multi-policy discounts for customers who take out more than one policy, such as car insurance and home or home and contents insurance, and it is worthwhile keeping this in mind when assessing the total cost. Providers may also provide online and app account management services, and consumers should consider the range of services provided, along with the processes that will need to be followed in the event of making a claim. Above all, it is worthwhile making sure that you understand the conditions of your insurance policy, ensuring that it provides the level of coverage required.